The Best of Business (BOB) Awards, given out by NH Business Review, recognize and celebrate the best New Hampshire companies in more than 90 business-to-business categories, as voted by our readers. With more than 4,400 ballots cast, the 2019 BOB Award recipients have been selected. See below for a complete list of the businesses in New Hampshire being recognized for having the best products and services for businesses. Winning categories include: Accounting Firm, Digital Media Marketing, Law Firm, Advertising Agency, MBA Program, Dining with Clients (by Region), Young Professionals Networking Group, and more! 2019 BOB Award Party: The Rockin’ ’50s. Thank you to everyone who joined us on March 14 at the Grappone Conference Center in Concord as we wined, dined and celebrated the 2019 award winners. We hope you had as much fun with the Rockin’ ’50s theme as we did! 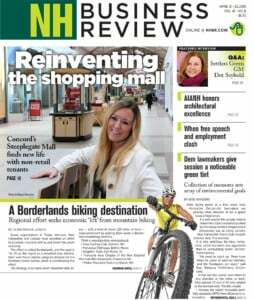 Each year, our readers vote for the Granite State’s most stand-out businesses — the ones that go above and beyond to ensure exceptional products and services with the utmost attention to detail and delivery on customer satisfaction. We are delighted to share the results of our tenth annual BOB Awards, which honor the Best of Business in New Hampshire for 2018. 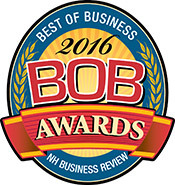 The sixth annual NHBR readers' poll of the best B-to-B companies in the Granite State.